In ancient days, gold was one of the most used ingredients for enhancing beauty. Pure Organics Gold Shine Kit is developed using the same formula. 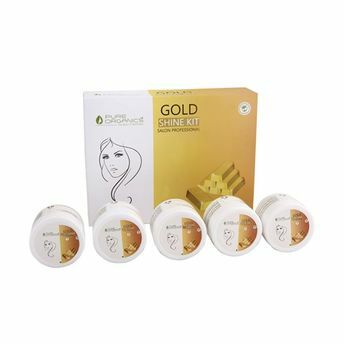 Gold content in the products of this kit helps in improving the blood circulation, which helps hydrate and maintain the skin's moisture level. The small particles of gold get absorbed into the skin imparting a rich glow. This makes the skin healthy, fresh and radiant.